This is coat blow season...any possibility she's just pulling out loose hair? Also - she probably will evolve in color as she gets older. 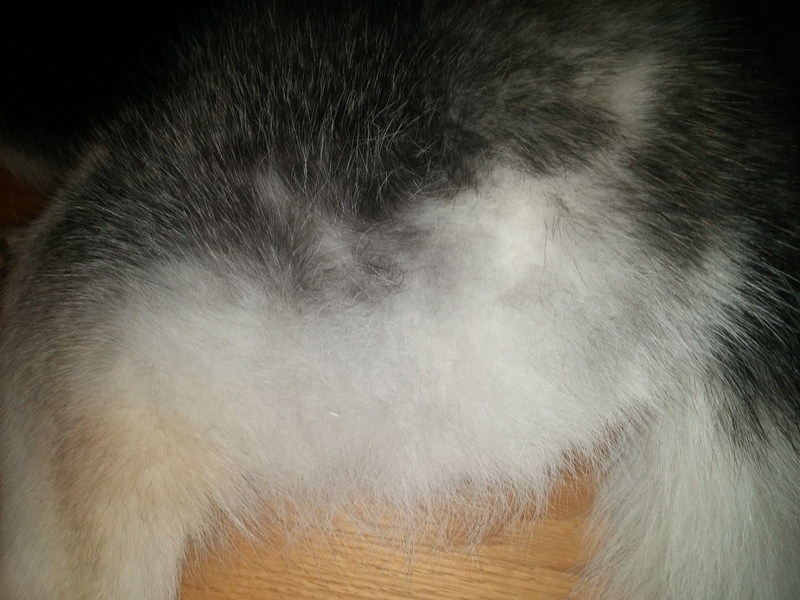 Paw Paw came to me with most of the fur chewed off his tail. His previous owners kept him indoors in a crate all day, or outdoors chained to a tree. He gnawed his tail off due to boredom. These dogs love exercise and love (need!) to run. Not sure how much exercise your dog gets, but it might be part of the problem. I understand that younger dogs shouldn't be overexercised, so maybe your girl is still a pup. What I do know is that Paw Paw snacked on his tail due to lack of exercise. 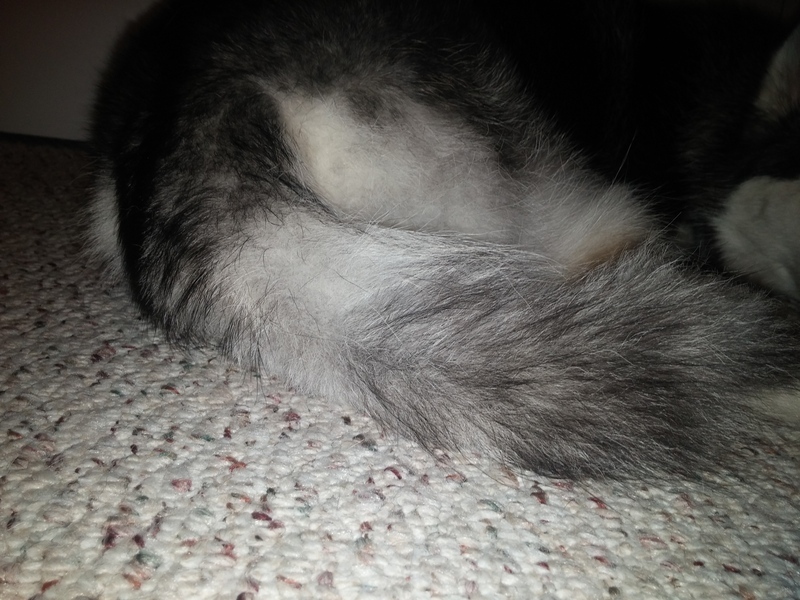 Once I got him and started exercising him more, he left his tail alone and all of the fur grew back. Hope this helps! Good luck!! If you are really not able to keep her well exercised, you are doing a disservice to her and may want to find a more suitable home. Otherwise, you will find problems like obsessive chewing on her tail etc. I'm sorry if I have offended you - I certainly do not mean to do so. I remember reading about the breed when I first rescued Paw Paw. It said that a Siberian can run 100+ miles a day pulling 200 lbs. I also remember reading that, pound for pound, there is no other dog (OR ANIMAL FOR THAT MATTER!) that can run as far, as fast, pulling as much weight as our beloved breed. Look at a team of Iditarod dogs as they do about 1,100 miles in 10 days...AMAZING! I take my pack bikejoring as an easy way of exercising all 4 at once, and they pull me 5+ miles a day in about 45 minutes average. To walk 5 miles would take us hours. We used to do it, but it was no longer fun. Bikejoring saved us! There is also dog scootering, dog carting, etc. Check into them if you are losing interest in super long walks like I was. Plus, I remember walking them did almost nothing for them. They would come home ready to go like they didn't even go for a walk. At least with bikejoring, I'm allowing them to run and pull the entire distance, and they're getting obedience via dog sledding commands all wrapped into each session. When they come home, they're tired for a bit, but could probably do the 5+ miles 2-3 times a day, if only I had time. Once a day is enough to expend just the right amount of energy to keep them calm and satisfied so they obey and don't get bored or destructive for the rest of the day. On days that we have more time, we'll do a longer distance. Kaze's personal record is 14 miles, 7 pulling by himself, and the other 7 pulling with Paw Paw and Beowulf. Kevin, just to play devil's advocate here, willingly conditioning a dog to run 5+ miles is in large part the reason why a dog will need to run 5+ miles. It's awesome that you have both the desire and ability to do that with your Huskies, but that is no reason for others to think that their Husky too will need or should need that type of conditioning or exercise. That isn't even really directed at you so much as it is to Tony or any newcomer who sees this. Stating what a dog could do and what a dog needs to do are two completely different statements. Having a dog who even seems like she or he needs more exercise is a function of the type of lifestyle we offer them. Dogs with no structure or boundaries or expectations (Training) might seem like they need more exercise by virtue of their hyperness or brattyness or stubbornness or destructiveness or anxiety, but the flip side of that coin is that you can get rid of those problems by providing structure or boundaries or expectations (Training). Proper training can reduce or eliminate the behaviors that we see that often warrant prescriptions for more exercise. More exercise creates the requirement for more exercise. That's what conditioning is all about. Likewise, training can reduce or eliminate the same behaviors. Granted, a commitment to the proper training and ongoing relationship style can be just as difficult and taxing as needing to run a dog 5-10 miles, but it's a bit easier to incorporate into daily life for most people than high levels of athletic ability. Training is all about conditioning, as well. I just feel it is often too easily overlooked how proper, balanced, calming, obedience training can eliminate the behaviors that quickly get folks to prescribe miles and miles of running. All that said, I don't think Tony has shown commitment to either exercise or training. But I just wanted to throw this in there. The thing about Huskies is that whatever it is they need, they need LOTS of it and 100% commitment to the ensuing lifestyle of whatever it is we give them. I wish there was a way to emphasize more how high maintenance and difficult this breed is. Keeping them happy and easy to live with is a monumental effort, no matter what route we take with them. Anyone who is even remotely unknowledgeable or lazy or easily frustrated will be perpetually struggling with these dogs. Its getting worse... She has had plenty of exercise I think. Idk This is starting to bug me. There's no fleas or ticks. I've been brushing her twice a week. I have a vet appt Tuesday so hopefully they can tell me something. Do you leave her with anything else to chew on while you're gone? I think you have a gopro? Have you got pictures of her chewing the tail? Circumstances? That is definitely not a coat blow. I would say it's anxiety as well. Separation anxiety, possibly, but there are more types of anxiety that could be causing this. Vet said benadryl to keep her calm and knock her out. What do you think? I think you need to find a new vet and find a good, balanced dog trainer who can teach you how to relax your dog and provide her with proper structure and compliance to obedience commands. I generally find advice from vets to medicate dogs with bad behavior to be offensive and grossly irresponsible. You can train your dog to hang out on a cot or mat or in a crate and not chew on her body. Every problem you post about Bandit is about lack of structure and too much excitement or freedom. Jeff, that was unfair - probably more true than not - but still overly abrupt, imho. Tony's a new Husky owner who's doing his best to figure out how Bandit works - I'll give him credit that he hasn't taken her to a shelter with the learning curve he's going through. 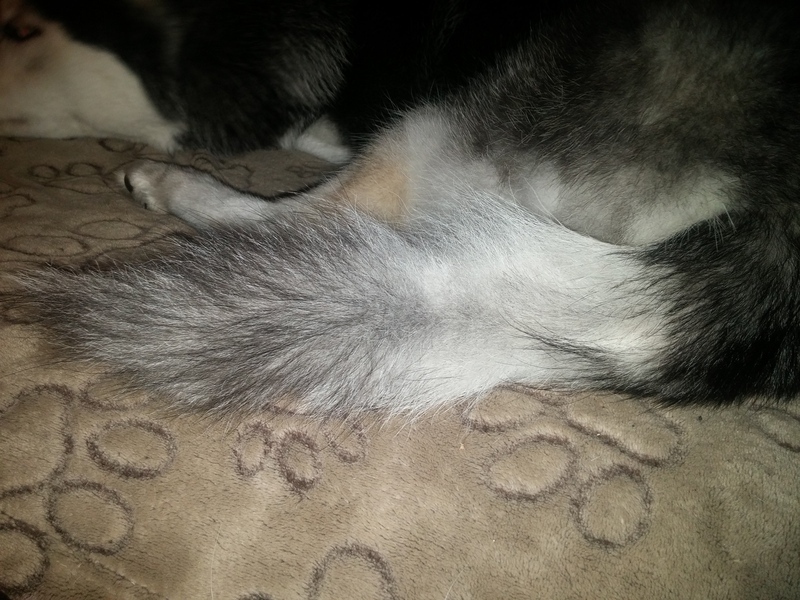 Tony, first I do have to agree with the consensus that Bandit's chewing on his tail is probably anxiety - and will not even begin to suggest the reason why. I will disagree with Jeff on one point - *my dogs* have one of the most unstructured lifestyles going and they don't chew on things, run away (run, yes; away, well, not too far) or get too hyper (and that's within limits). I think I've said before that I tend tho think that it's your anxiety that you're passing to Bandit. As far as the benedryl - it has it's uses; it's great for snake bites in that it reduces the swelling and relaxes the dog; it's handy for long trips with dogs who are travel anxious; I've even used ot for Avalanche when we've had thunder storms of long duration, he's nervous but normally handles the ones that pass through, more than a couple of hours and he's pacing. It does have its place - but for a vet to recommend it for what would amount to daily use is not even borderline abusive and almost criminal. Grrrrr, vets have no right to recommend medicine to help a dog with anxiety. I do believe it is anxiety, whether it be from Tony being anxious all the time or it is separation anxiety. I have offered advice before, and I have also just watched Tony's threads and not respond. The reason I am responding today, is because, Tony and Bandit need help. Not from us here on the forum, but with a trainer who knows how to deal with this type of behavior. Tony, I have mentioned to you before you need someone to come to you and Bandit and help you. I think it's great that you come here seeking help, and for the most part we as a collective can and have helped you two through many things. You have a beautiful girl, and I know you struggle as a first time husky owner(and first time dog owner). I commend you for seeking out help through this forum. I just feel this is more of a hands on problem you have. Where someone needs to go to you and help you, not from us telling you to do this or that. http://dogtraining-delaware.com/ Tony take a look at these people, unless someone else can give you a better place to go. They will go to your home, they will go to your town. They specialize in obsessive compulsive behavior as well as separation anxiety. http://positiveresultsdogtraining.com/ Here is another place you can contact. They offer all around training. I am not familiar with your area, but by typing in dog behaviorists in Bear Delaware brought those 2 places up. Again if someone else here can provide Tony with a better behaviorist, which imho is what Bandit and Tony need, please offer up some contact info. Sometimes new dog owners just don't know where to begin. Tony, I know you have asked about a second dog recently, it may help, but for the time being I think it would be a wise choice to get Bandit in the right frame of mind, and you know how to properly care for her, before you add another. I'm sorry Al, I don't accept your objection. My post was accurate, impersonal, non-judgmental, and justified given the situation, especially considering I was specifically asked what I thought about the situation. I have not addressed Tony as a person at all beyond his relationship with his dog, which we all happen to have lots of information about. So I don't accept the objection of unfairness. As for abruptness, well, that's simply a direct post online without expressions of sympathy or compassion, and I'm not going to apologize for that. Not my style and also not very productive in terms of addressing actual problems and working together to find solutions. Renée ' s post balanced my post perfectly. Both accurate and justified, but different in nature and style. Okay so for the,last week I have had her sleeping all night in the crate. I used to leave the door open now its closed at night. If the door is open she,would end up in my bed at some point in the night. Now, since the door has been shut at night there is almost no crying when I leave. I recorded roughly 90 mins of when I left for work this morning and all she did was sleep. Wish my battery didn't die on the go pro. I will try to get more but she acted normal but I still think that's when the tail chewing is going on. 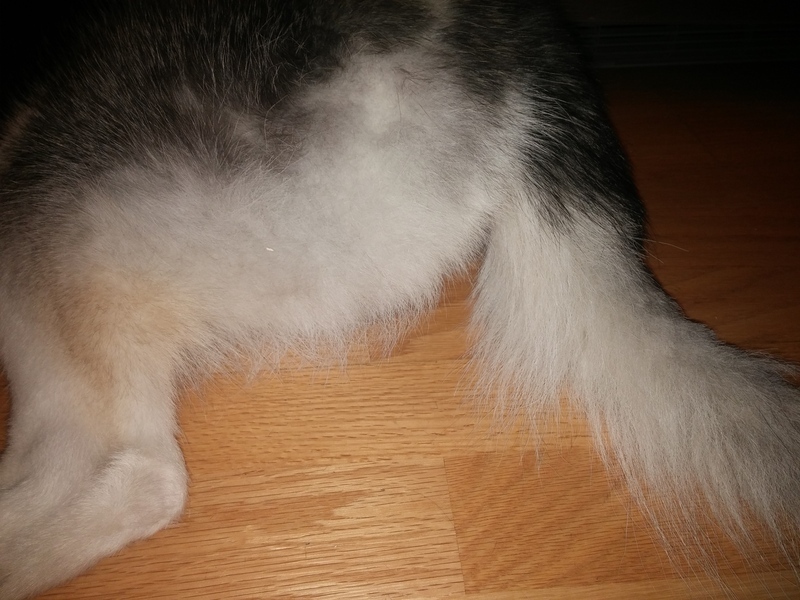 She has recently been chasing her tail so maybe there is something wrong with it?? Tony, I would go to a different vet, see if there is dry skin, mites, or something bothering her. Once the vet rules out any physical problems, ask if it's anxiety related, if so ask for a behaviorist recommendation, if they can not recommend any one, please contact the two places I gave you links to. I personally think it is anxiety based. Having a second opinion, will at the very least give you a better foundation to work with. Even if she has a medical problem, I would still seek out a behaviorist. Bandit seems to transfer her anxiety from one issue to another, by having someone come to you and help you, in no way means you are doing a bad job. Huskies, are prone to having certain issues, and without experience or knowledge, you will battle manifestations forever with her. 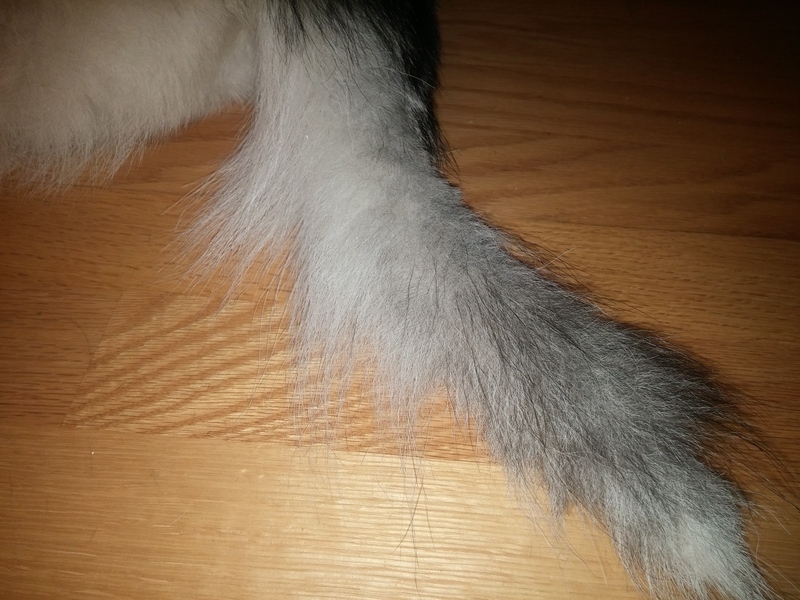 Even the most experienced dog/husky owner, may at times need more help. Please do not think your are inept, you are inexperienced. Bandit in time will be a fantastic companion to you, but she will never be, unless you seek out a professional who is local to you and can give you the hands on experience that you need. Tony, I would much rather see daily posts of you and Bandit and the fun times you have, rather than the posts with you asking on how to correct an issue. Although, even the most seasoned vets here will have a problem, from time to time. The overall flow of the forum is on how we interact happily with our huskies. I would love to hear and see the wonderful moments that are awaiting the two of you. Simply pick up the phone and give one of those 2 sites a call. 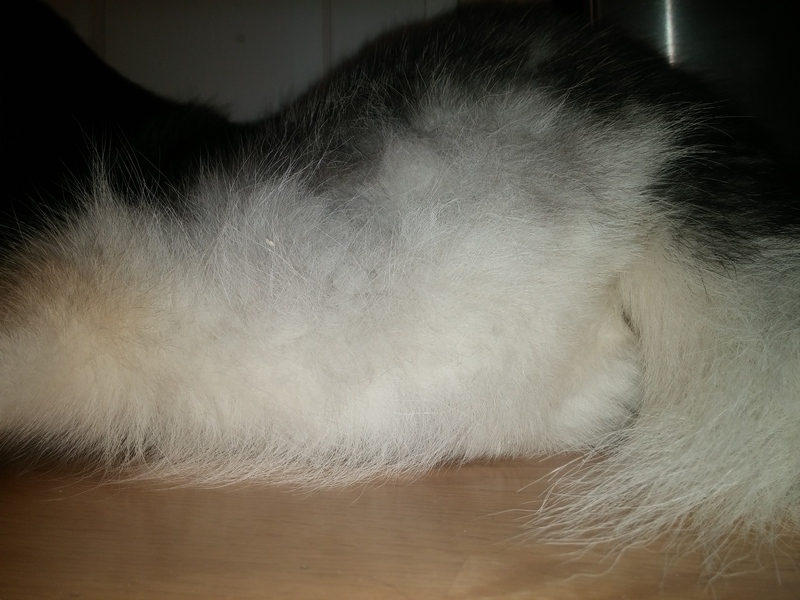 Tell them that you have a husky and she has some anxiety related issues and that you are an inexperienced owner who needs help. Nothing wrong with doing that, it really is a grand gesture to do that, because you want to have the best experience with your husky, and the best life she can have with you.